VALUE IS IN THE LAND ONLY! 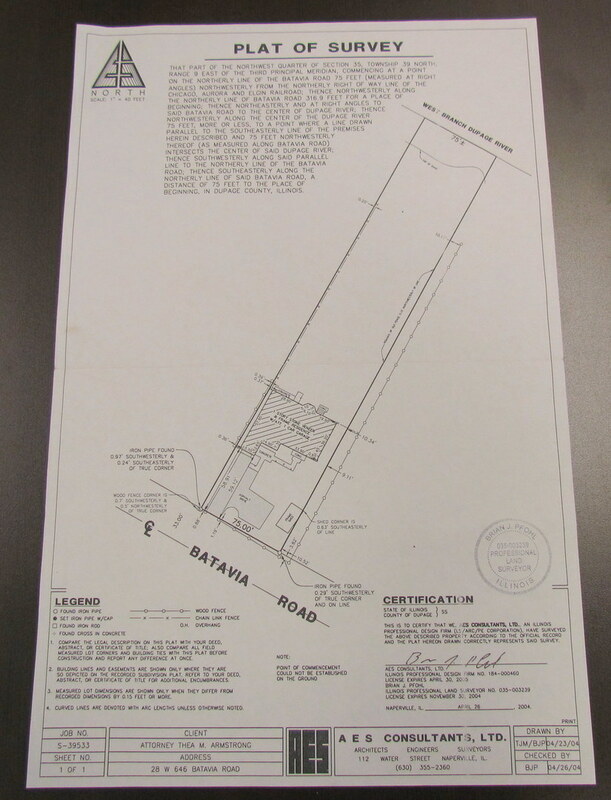 This is the third parcel (of 4 pieces) of land that can be assembled (approx total of 3 ACRES +/-) to develop the Northeast corner of Batavia & Butterfield Roads...approximately 32,000 sq ft (this piece of land) that by obtaining and joining with the 2 additional parcels to the South can expand the chances of ingress & egress into this site from both Butterfield and Batavia Roads. Without this parcel - access is greatly inhibited. You may request additional information explaining what the City of Warrenville is interested in for this site. Ideally we are looking for a MIXED USE of BUILDINGS with a variety of Residential homes built along the River. This is a MAJOR FOCUS piece of land - providing a great deal of Visibility and Recognition for years to come! Bring us your ideas!